Friendly societies were designed to help members to cope with the illness, death or unemployment of a household's breadwinner. Each month members, mostly men, paid into the society, often at a meeting in a pub and in return payments from the pooled funds were made to ill members and to members' widows. The societies also developed myths and rituals (including funeral rites) and provided regalia, badges, certificates, charitable activities, parades, communal singing and feasting. While these activities were sometimes presented as extravagant, subversive or financially unsound, they helped the societies to be seen as trustworthy and beneficial by potential members, members and patrons. The societies were embedded in Victorian and Edwardian society. Estimates vary but something like 80% of male workers were members at one time or another and there were between 6.3 and 9.5 million members in 1910. 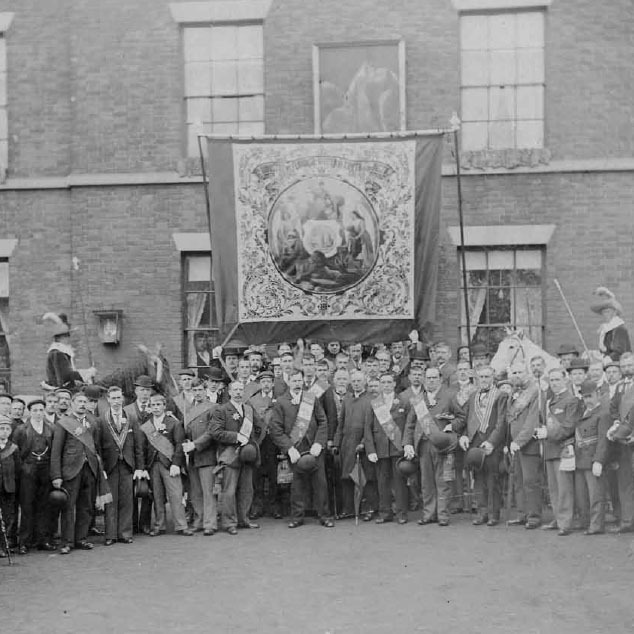 In that year the world's largest friendly society, the Independent Order of Oddfellows, Manchester Unity with over one million members, celebrated its centenary. Its chronicler at that time claimed that ‘the hundredth anniversary will be but the starting point of renewed youth and fresh triumphs' and, feted by politicians, the society negotiated to become an administrative arm of government. By the time that the First World War was over, however, thousands of friendly society members were dead, many societies had closed and the remaining societies had been transformed. The cause of this change was not simply the war. As the Secretary of the Charity Organisation Society and an Honorary member of the Oddfellows, Charles Loch, said, with pardonable exaggeration, Lloyd George's National Health Insurance Act, 1911, was, ‘the death warrant of the friendly societies'.